Washington - There's a load of bling buried in the Earth. 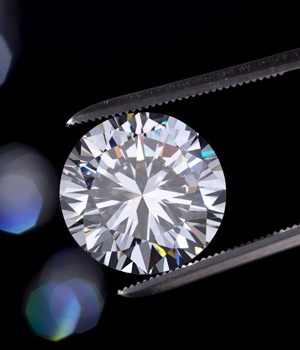 More than a quadrillion tons of diamonds to be exact - or one thousand times more than one trillion - US researchers at the Massachusetts Institute of Technology (MIT) reported this week. Using seismic technology to analyse how sound waves pass through the Earth, scientists detected the treasure trove in rocks called cratonic roots, which are shaped like inverted mountains that stretch through the Earth's crust and into the mantle. Scientists now believe the Earth's ancient underground rocks contain at least 1 000 times more diamond than previously expected. They emerge near the surface only through volcanic eruptions that occur rarely - on the order of every few tens of millions of years.